Welding is made more efficient with superior replacement parts and quality equipment repair from our Pinehurst, Texas, company. 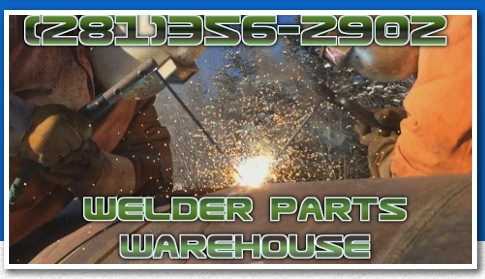 Welder Parts Warehouse does whatever is necessary to make your welding service successful and more attractive to your customers. Do you need your gasoline, diesel, and/or electric welder repaired? Would welding replacement parts for your Lincoln®, Miller®, and ESAB® welders help you finish jobs more effectively? 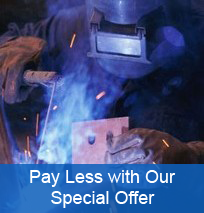 We provide all of the welding equipment repair work and replacement parts you need at prices that won't burn your budget. Welder Parts Warehouse is the only company offering welders the choice to rebuild selector switches on the SA 200 pipeliner and the Tecumseh Ignition Upgrade for the Miller Bluestar. Add to this our 25 years of combined experience in the industry, and it's no wonder that many welders choose us for all of their welding equipment repair and replacement part needs! In fact, we're able to provide scarce welding replacement parts for Lincoln welders .When a part becomes unavailable or obsolete like the 4 position selector switch or the tecumseh ignition modules 610748 or 610906 we take it to the design table and reproduce it as a more affordable and reliable part than the OEM originals. Call us today at (281) 356-2902 for answers to your questions about our welding equipment repair work. Click Here to order your welding parts today!